1. Goalie starts square to Player 1. 1. Player 1 walks out of the corner. He/she has 4 options: Shoot; Pass behind the net with Player 2 walking out for the shot; Pass to Player 3 for a one-time shot; Pass to Player 4 for a one-time shot. 3. When on glove side, keep your glove in 12 o’clock position, right next to head and wide open. 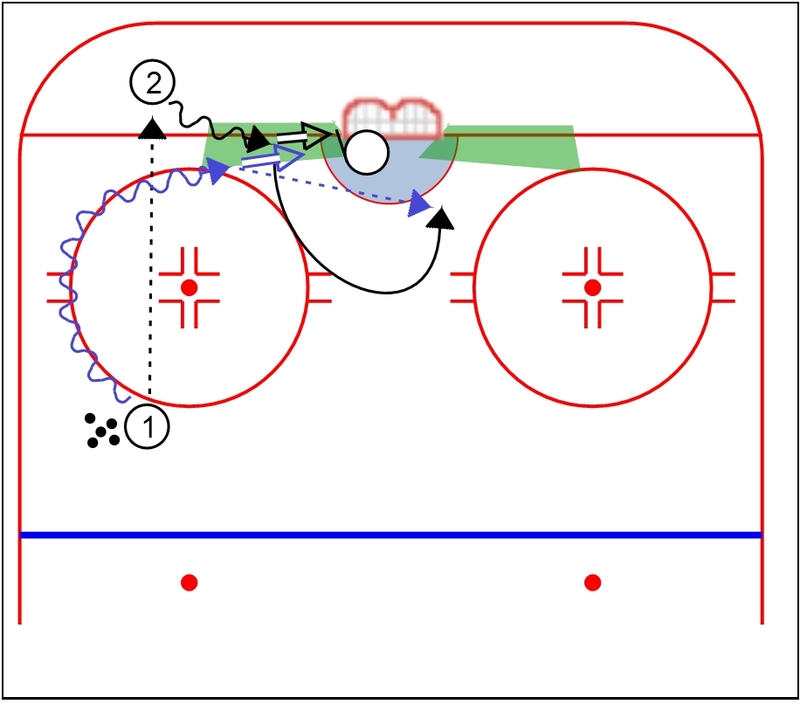 During this drill, make sure the goalie is moving. 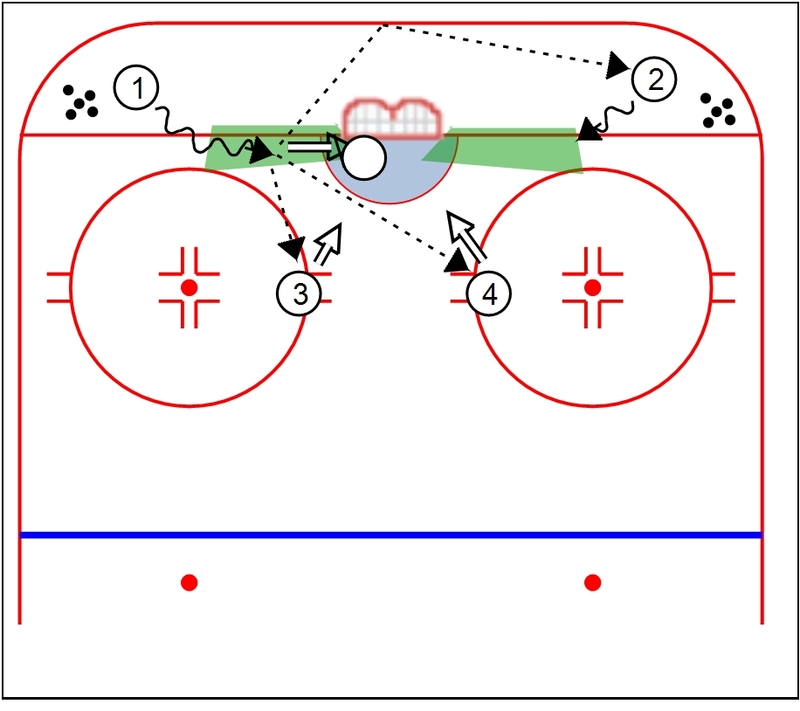 After a goal or a freeze, let the goalie get back into the start position. Hope you enjoy.